Do you have a passion for Turf? They discussed the different ranges of premium turf varieties including Soft Leaf Buffalo, Conquest Couch, Sapphire Soft Leaf Buffalo, Fescue, Kings Pride Soft Leaf Buffalo, Kykuyu, Shademaster Soft Leaf Buffalo, Empire Zoysia, Greenlees Park Couch, Legend Couch, St 26 Soft Leaf Buffalo, Matilda Soft Leaf Buffalo, Plateau Couch, Palmetto Soft Leaf Buffalo, Tif Sport Couch, Santa Anna Couch, Seaisle Paspalum & Wintergreen Couch. 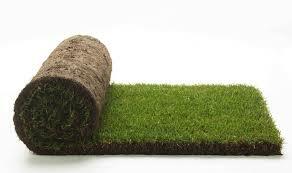 If you are a Turf Grower, or work in the industry as a landscaper and want to branch out into laying turf, then this website is perfect for you as it has a good history of backlinks across the web and was a respected name in the industry. Posted in Available Domains and tagged Advertising, Blog, Consulting Services, E-Commerce, Landscaping, Turf.